The Sweet Dreams Agate children's metal bunk bed frame is available in a silver grey finish and features a reversible ladder. The Agate top and bottom bunks both have metal mesh bases which offer sturdy and even mattress support for a better nights sleep. To access the top bunk a reversible metal two step ladder is included which can be positioned to the front left or right side of the Agate bunk bed frame. As your children grow and their needs change the Sweet Dreams Agate bunk beds can be separated into two single beds. 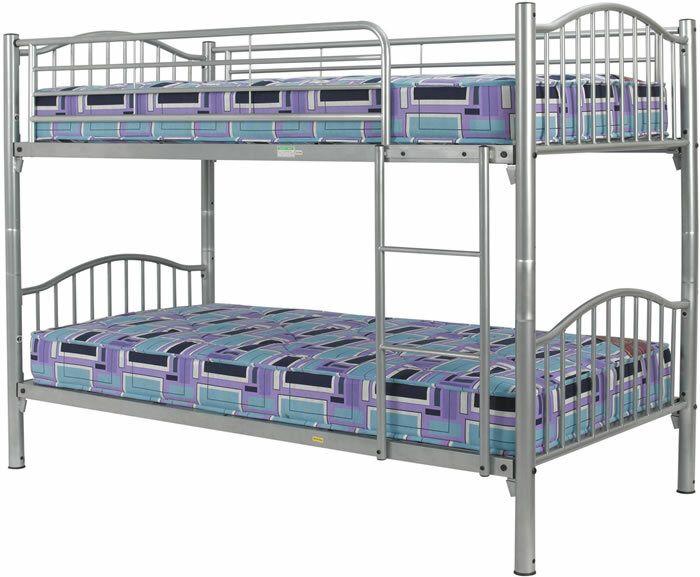 For child safety the Sweet Dreams Agate top bunk bed must not be used with a mattress that exceeds 17cm in height.